Отель Wamindang Hanok Guesthouse 2 находится в городе Jeonju. 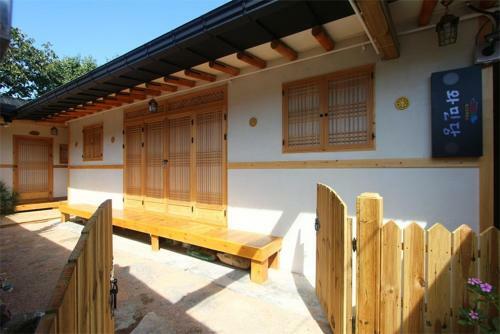 Wamindang Hanok Guesthouse 2 is situated in Jeonju, 400 metres from Jeonju Hanok Village and 5 km from Jeonju Zoo. All rooms come with a flat-screen TV. Each room comes with a private bathroom. Extras include slippers and free toiletries.